The Centara Grand Mirage Beach Resort donated more than 40,000 baht raised at a Christmas event to the Father Ray Foundation. General Manager Andre Brulhart presents a check for 40,269 baht to Father Ray Vice President Rev. Pattarapong Srivorakul Feb. 21. 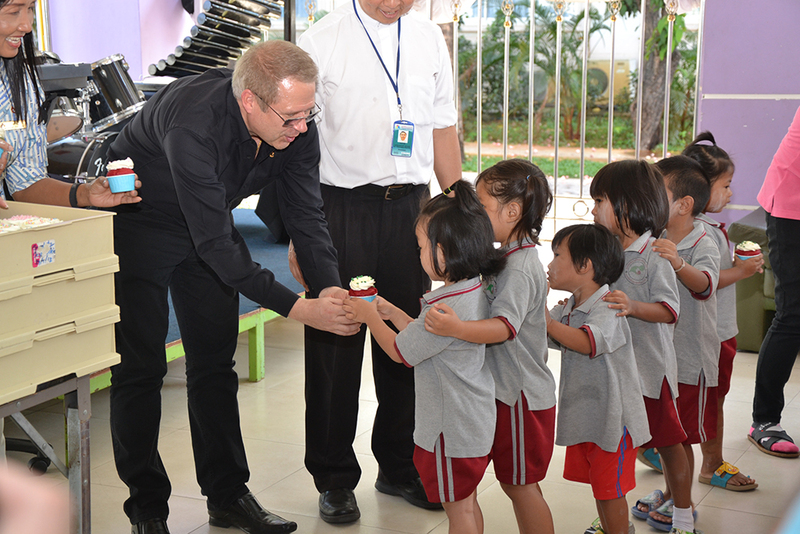 General Manager Andre Brulhart presented the 40,269 baht to Father Ray Vice President Rev. Pattarapong Srivorakul Feb. 21. The money was raised during December’s lighting of the Grand Mirage’s Christmas tree. Photo opportunities with the giant tree and a Santa Claus were offered for 100 baht each, with hundreds of locals and tourists chipping into to help the charity. 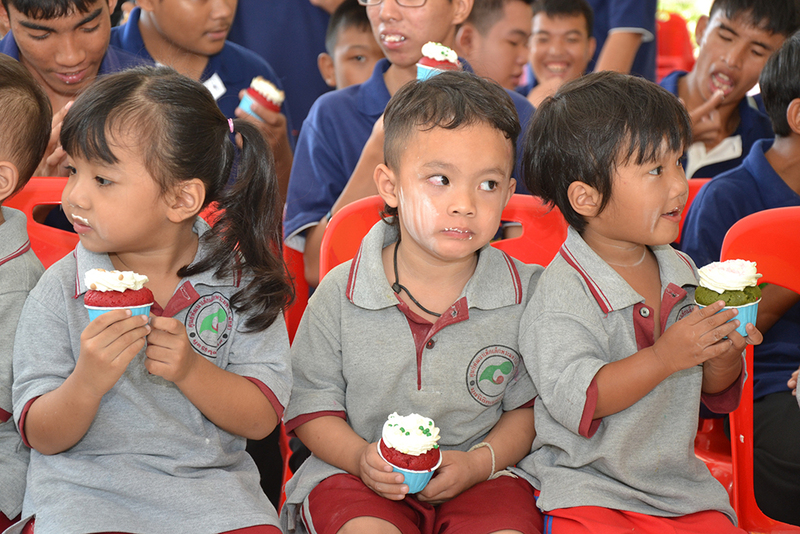 After the donation, about 200 children from the foundation’s various schools and shelters enjoyed cakes and snacks provided by the hotel. General Manager Andre Brulhart gives the youngsters some ice cream.